Tokyo, April 11, 2013 - Fuji Heavy Industries Ltd. (FHI), the maker of Subaru automobiles, today announced that it will exhibit the Subaru BRZ which will be introduced in China this year at the 15th Shanghai International Automobile Industry Exhibition (Auto Shanghai 2013) slated for in Shanghai, China (Press day: April 20; Open to the public from April 21 through April 29, 2013). With the display of the Subaru BRZ GT300 race car, FHI will embody the Subaru BRZ's product concept "Pure Handling Delight – the driving experience taken to a new level". 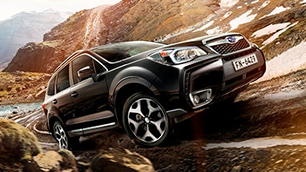 Also on display will be the all-new Forester. The model will be displayed along with its cutaway body to highlight the vehicle's excellent packaging and technological advantages including Subaru's symmetrical AWD structure and functions. 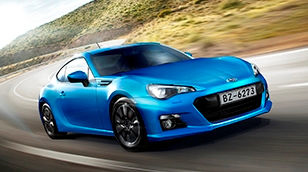 By showcasing the newly-introduced Subaru BRZ and Forester at the Auto Shanghai, Subaru intends to enhance the presence of these globally-popular models in the China market. The Subaru press conference is scheduled at 10:30 am on April 20th.